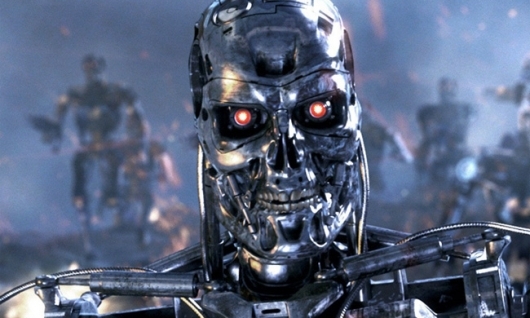 The first official image from the next Terminator movie has been released. In it, we see Natalia Reyes, Mackenzie Davis, and the returning star of the first two movies, Linda Hamilton. Hamilton isn’t the only original returning for the new movie, though. Franchise star Arnold Schwarzenegger is also back, and The Terminator and Terminator 2: Judgment Day director James Cameron is producing the movie. Continue below to check out the first image. Deadpool director Tim Miller is at the helm for the new movie, and David Ellison produces alongside Cameron. Ellison and Miller also developed the story, with writers Josh Friedman (Avatar 2, Terminator: The Sarah Connor Chronicles, War of the Worlds ), Billy Ray (The Hunger Games, Captain Phillips, Overlord), Justin Rhodes (Masters of the Universe, Green Lantern Corps, RoboCop Returns), and David S. Goyer (Blade, The Dark Knight, Batman v Superman: Dawn of Justice) all working on the screenplay. The movie, which does not yet have an official title, is currently scheduled to be released in theaters on November 22, 2019.